Located just five miles south of Washington, D.C., this waterfront city is conveniently minutes to Ronald Reagan Washington National Airport, boasts easy access to major interstate highways, and is served by four Metrorail stations, Amtrak and Water Taxi service. In Alexandria, getting around is easy! 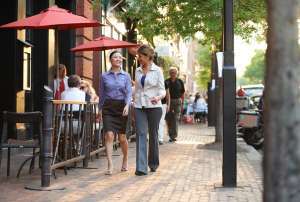 AAA selected Alexandria as one of the "Ten Most Walkable Cities" in the country, while Prevention Magazine ranked it as the "Best Walking City in Virginia." 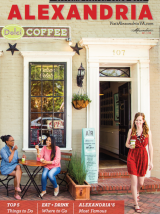 Or, hop on and off the free King Street Trolley running from the King Street Metro to the Alexandria waterfront! Download our informational maps and see how easy it is to get here and get around. Alexandria&apos;s proximity to Ronald Reagan Washington National Airport and easy commute to Washington Dulles International Airport and Baltimore/Washington Thurgood Marshall International Airport makes flying convenient and affordable. Serviced by most all of the major and economy carriers, with over 300 nonstop destinations and 1000 daily departures, getting to and from Alexandria is easy. 5 miles to Washington, D.C.
From: Atlanta, GA: 2:00 hrs. From: Boston, MA: 1:15 hrs. From: Chicago, IL: 2:00 hrs. From: Dallas, TX: 2:00 hrs. From: Los Angeles, CA: 5:15 hrs. From Miami, FL: 2:30 hrs. From: New York, NY: 1:00 hr.